On September 1st, I went to the College of Integrated Chinese Medicine in Reading (UK) to attend a cupping workshop presented by Ilkay Chirali. Remember Michael Phelps at the Olympics? Read on to learn more! For those who are not studying cupping or TCM, Ilkay Chirali can be considered the authority on cupping in the Occidental world. The third edition of his book about cupping is a very extensive resource, drawn from his personal experience and what he witnessed and learnt during his travels. Although the content of the workshop was taken from his book, it was particularly interesting as he made a point for each attendant to practice all of the cupping technique while personally supervising and giving the relevant pieces of advice for each to improve their cupping techniques. 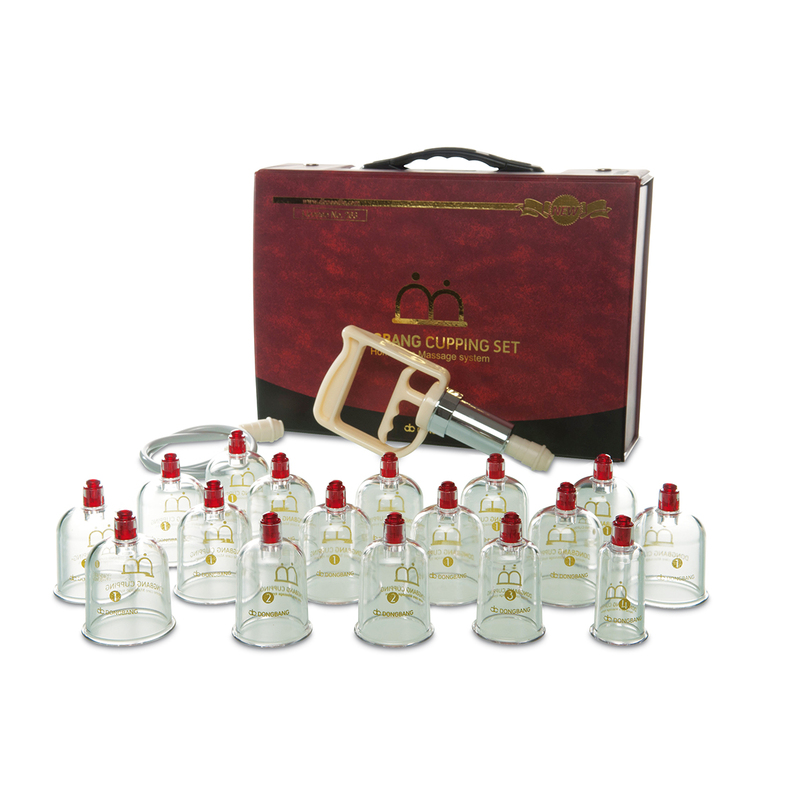 The principle of cupping is to create a vacuum in a cup, which is placed on the body of a patient. Thanks to the vacuum, organic tissues (skin, fat and muscles) will be pulled into the cup / away from the bones, effectively doing the reverse action to a massage (where the skin is usually pressed on). This pulling action will stimulate blood flow and increase cellular activity to the area. There are two main cupping techniques distinguished, the now famous “dry” cupping thanks to the Olympics, and the more spectacular wet / blood cupping. One method is not better than the other, they simply are used for different conditions. The wet cupping consists in piercing the skin prior to placing a cup on top. The skin is pierced using a plum-blossom / seven star needle or a lancet (short scalpel). The plum-blossom technique, although less comfortable is also safer, as only tiny holes are made in the skin to allow the blood to come through. Once the area has been prepared, a cup is place on top, and the vacuum draws the skin in the cup and let the blood out. This is a draining therapy and is to be used mainly on patients with an excess condition (hypertension…). This bloodletting technique is culturally linked with the Arab world where wet cupping / hijama is the main / only type of cupping practised in this community. This method is particularly useful to remove any stagnant / bad blood from the body following trauma or injury. On the topic of dry cupping, the therapeutic effect is adjusted based on the strength of the succion and the time it is left on the person’s body. A strong cupping is usually a draining method and is used to take the “sha” (same as in gua sha) or heat out of the body. Medium to light cupping are even or tonifying methods (energising and relaxing) and suitable for all people (yes apparently kids love it!). The “dry” cupping (no link with “dry” needling) is the most common type of cupping therapy in the UK and Europe, due to the lack of bloodshed and therefore greatly diminished risk of infection following a treatment. Personally, this is the type of cupping I use in my practise, plus as I use mainly fire cupping, the sessions are nice, warm and relaxing. For either of these two types of cupping (wet / dry) various cups can be used. From glass to bamboo, rubber and silicon, all have a similar effect (you can even use any glass or jam jar!). The glass and bamboo cups have a particularity, they are mainly used with “fire cupping” where a flame is quickly introduced in the cup (and withdrawn) to create the vacuum. While the glass cups are among the most practical and safe cups to use, the bamboo cups have the capacity to be soaked into a hot herbal remedy prior to application. It is important to note that due to the porous nature of bamboo, the bamboo cups may absorb organic fluid from other patients and might not be successfully sterilised. If there is no fire involved, the vacuum can be created using a pump, drawing the air out from the cup by a system of valve, this system allows greater precision in determining the strength of the cupping succion (one pull is light cupping, two is medium and three is strong). Cupping therapy can be sufficient on its own to treat a great variety of conditions. It can also be combined with acupuncture and moxibustion for reinforced effectiveness. Cupping sessions usually last between five minutes (first time strong cupping) to half an hour (medium / light cupping). Depending on the person, there will be the famous cupping marks (see picture of Michael Phelps). With the gain in popularity and awareness about cupping, these famous marks are becoming quite trendy to display, especially in the London area. Some people, like GPs, can be a bit lost regarding these and may not know what to make of it (my GP thought I had been hit repeatedly with a squash ball when I consulted for a persistant cough). These cupping marks can be faint or non-existent if only light cupping or flash cupping was applied. They can last from three days to three weeks for medium, moving or strong cupping. Although rather visually impressive, the area is not painful to the touch and feels like normal skin. Beware however that badly applied cupping therapy can form blisters on the skin, so ensure that the therapist using them is confident and make sure the session is comfortable for you (not supposed to be painful). To come back to the cupping master, Mr Chirali, he had a very warm personality and felt like a nice and welcoming grandpa. Also, although he is the cupping authority in the UK, he is very humble and easy to talk to. At the end of the day, this cupping workshop really boosted my confidence and skills regarding my own use of cupping in my treatments and I intend to incorporate more of it!